What did people think about Haunted Night? 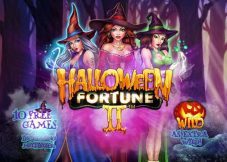 Like all 243 payline slots the biggest wins come when you have some nice 5 of a kind combination or in the free spins bonus. Sometimes the bonus takes a lot of spins to come and the wins can be very small even under 10 x bet. My biggest win on this game was around 80 x bet in the base play while in the bonus round only 40 x bet. Not really negative, the slot has longer periods of not giving bigger winnings, but that’s normal. It all sounds good initially, but from the very first time I saw that Last Stand bonus round I kind of knew this was going to be a very low paying game. You choose a bad guy to shoot usually five times, and each one you kill has a small win attached – very small it seems, 2x bet at the most in my experience and if you choose to shoot the targets with the highest prize attached every time you may not even get five attempts as another lower paying target will reach you and finish the bonus.Calculating the games max win from the advertised 60,000 coins jackpot and the max bet amount of 200 coins gives a pitiful maximum payoff of just 300x bet which seems difficult to believe bearing in mind the stacked wilds on reels 2, 3 and 4 as well as the 3x multiplier during the free spins – that means you can only win 100x your bet in the base game! That said, if you do manage to land all three stacked wilds at the same time you’ll get the base win, plus your 15 free spins at 3x, plus the bonus round, and finally your free respins from the nudge wild – I’m certain that the combined total of all these can be higher than 300x stake, so in this game the advertised jackpot is a fairly useless guideline but it does give you a good idea of just how low variance the slot is. If only low payouts during normal play, which makes playing not very interesting. 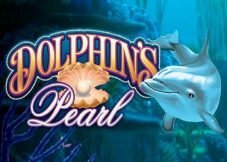 Once again, a newly released game goes through a similar play pattern as many other new games too. 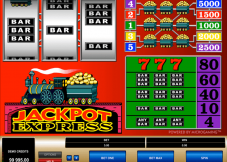 It would play and pay well in the beginning, gradually becoming harder to get payouts and in smaller amounts too. 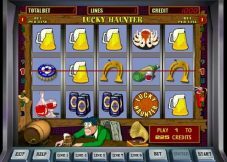 Not long upon playing on Haunted Night , after a good start as usual, the game became dull and boring, with spin after spin of no-payouts or very small payouts, and with Free Spins games that also paid peanuts. So much so, after one long play on the game, I’ve had enough of Sam and his family members, and had seen enough of all the blardy low payouts from it too. One play on Haunted Night was all it took to turn me away from it for good! We believe that Haunted Night from Genesis, which was released 15.04.2015 with RTP Unknown and Volatility – N/A are worth to play. And remember that is have 3 PAYLINES AND 5 REELS. This and 243 BETWAYS give a chance to win 2500 JACKPOT. 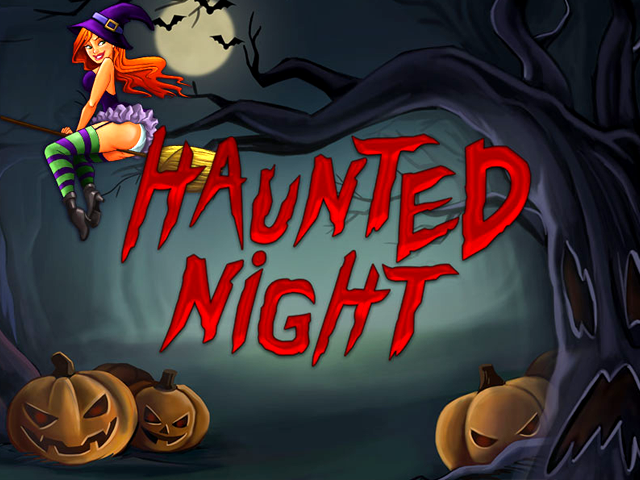 You should try to play in Haunted Night with 0.25 MIN BET AND 0.25 MAX BET.